MEDS - The Medical Courier the others attempt to emulate. We're the after hour specialist! Let us be your San Antonio depot! 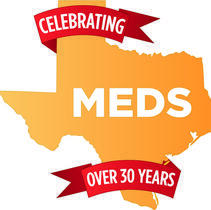 MEDS is the reputed leader in providing logistics for medical courier work in San Antonio and South Texas. We are the only company 100% devoted to health care, and have been so since the company’s inception in 1986. This devotion has made an indelible footprint in our medical community, and beyond. Don’t be fooled and waste your time with other companies offering health care delivery experience, only to find out their customer base is focused on some other transportation market. If you need to grow, go with those who know.